Internet Protocol (IP) Computer Based Management and Reporting. 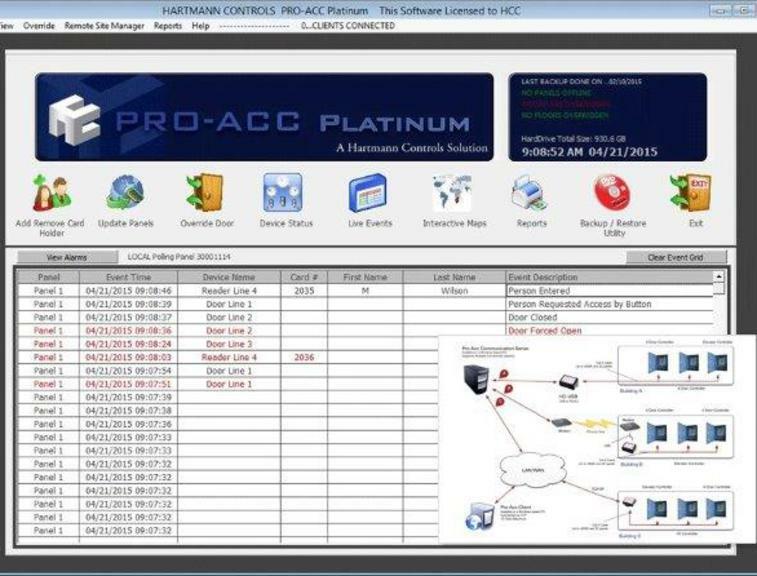 Determine each door user's' access privileges; the profile. Specify the exact timeframes with immediate status changes. 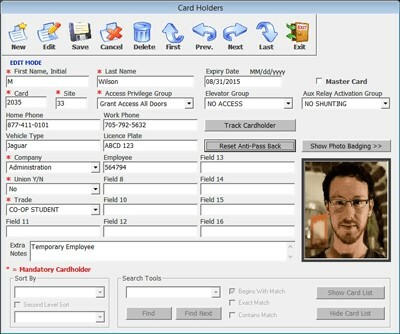 For example, day access, time of day access, and type of credentials (keypad, key fob, and bio profile) This management tool is available remotely via an authorized cell phone. 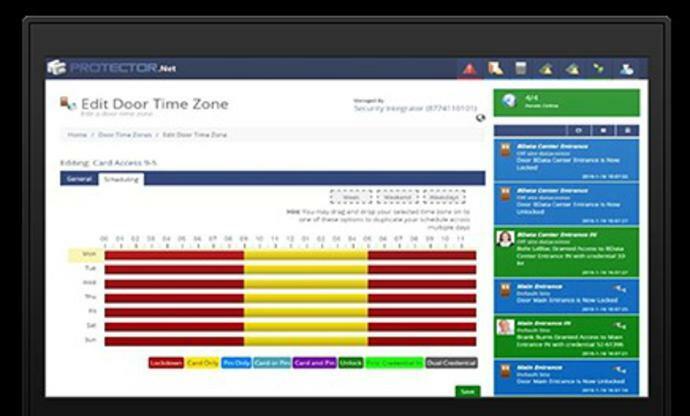 View a complete time framed activity log for a specific door. Allocate access timeframes in: hours in use, day or days of the week, specific days, and other access timeframes. 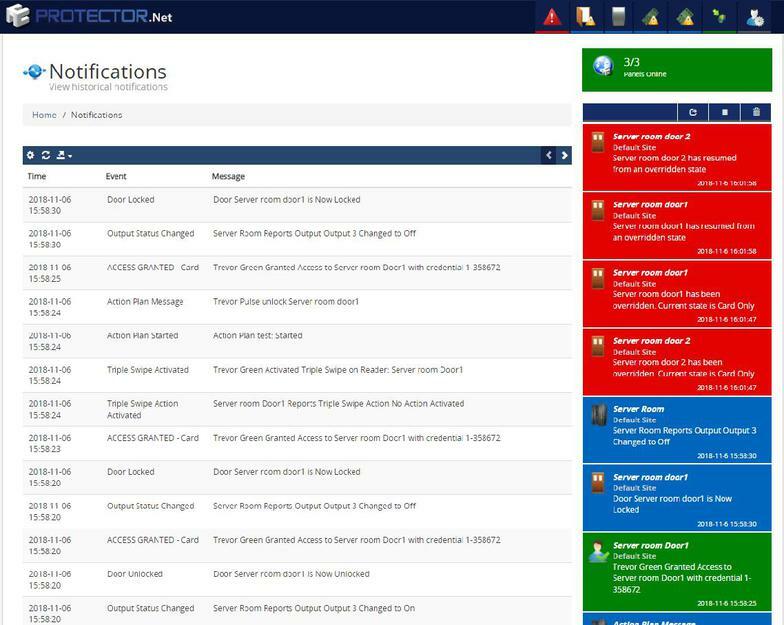 Build a user profile with all access priviledges for a door(s) and timeframes permissions. Building an access profile for every door user defines the need of a staff member to access doors. Each door is also given a profile of times and dates of its access. Thereafter, each door reporting access is available on site and remotely on cell phones.